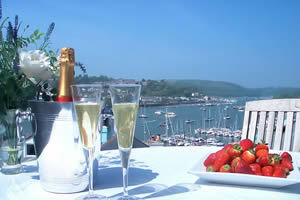 Enjoy a wonderful break or holiday in South Devon at this charming character cottage in Kingswear. 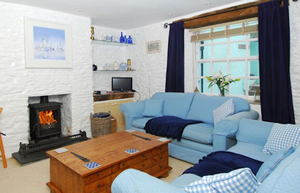 The delightful Milber Cottage is a 4* Gold rated cottage with 3 bedrooms, sleeping 6. It’s perfectly placed to reach the beaches and attractions of the English Riviera or you can simply stay in and enjoy the spectacular views over the river to Dartmouth from the tiered patio. Dating back to the early 1700s, the cottage was formerly a rest house for weary travellers awaiting the ferry across to Dartmouth. If you have not explored the South Devon areas before, the South West Coastal Path winds round the rugged coast from Torbay, down the steep streets of Kingswear, across the ferry and through the heart of Dartmouth into the picturesque countryside and impressive coastline of the South Hams. These elegant yachting towns, situated on either side of the River Dart, provide the perfect base for exploring on land or on water, with the open sea a short sail up the estuary and the tranquil charms of the River Dart in the other direction. The streets of Dartmouth are busy throughout the year with tourists and locals enjoying café society and excellent shopping. Quiet Kingswear provides the perfect base for those seeking peace and quiet with the convenience of Dartmouth only five minutes across the water. The sun has come out and so we feel it’s safe to say that Summer has arrived and what better way to celebrate than some great last-minute deals on some short breaks and holidays? To find out more last-minute availability and offers for self catering including cottages, apartments, lodges, holiday parks and even boats call 0844 847 1140. These offers are subject to terms and conditions with our holiday travel partners, please check the details when clicking through to their website via our booking/more information link.